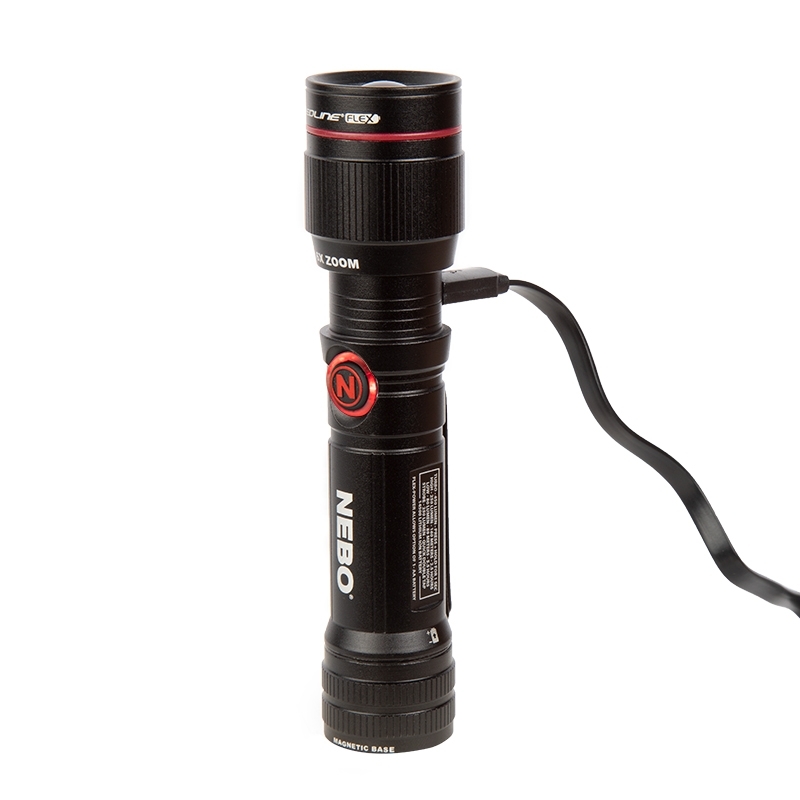 NEBO'S Redline® FLEX caters to all your LED flashlight needs—whether they're rechargeable or standard battery operated, hand held or hands free, wide beam or narrow, or a choice of modes. 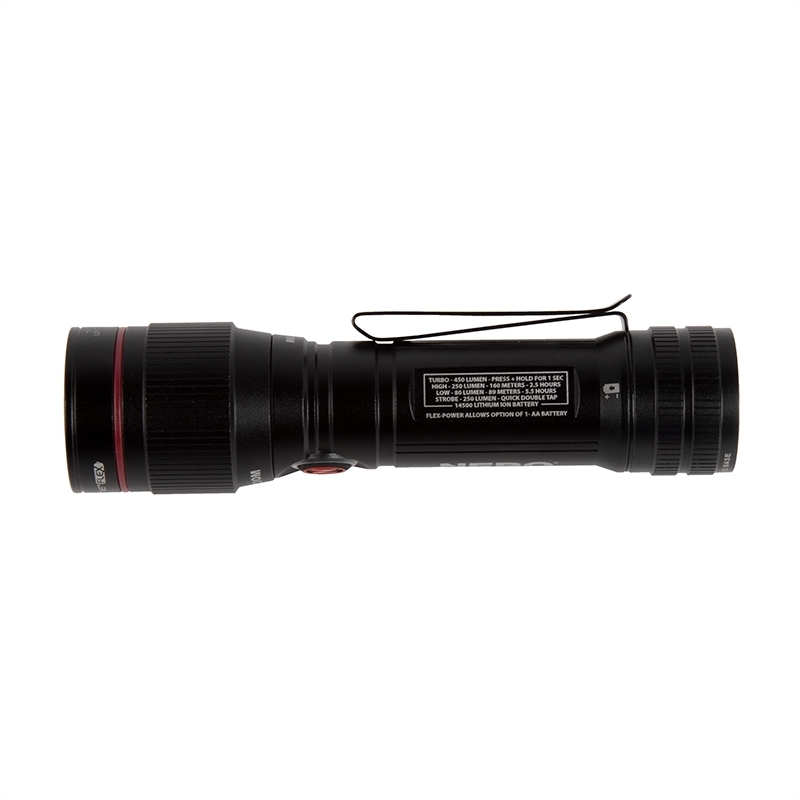 This versatile little flashlight runs on a 14500 rechargeable battery (included) or 1 AA battery. 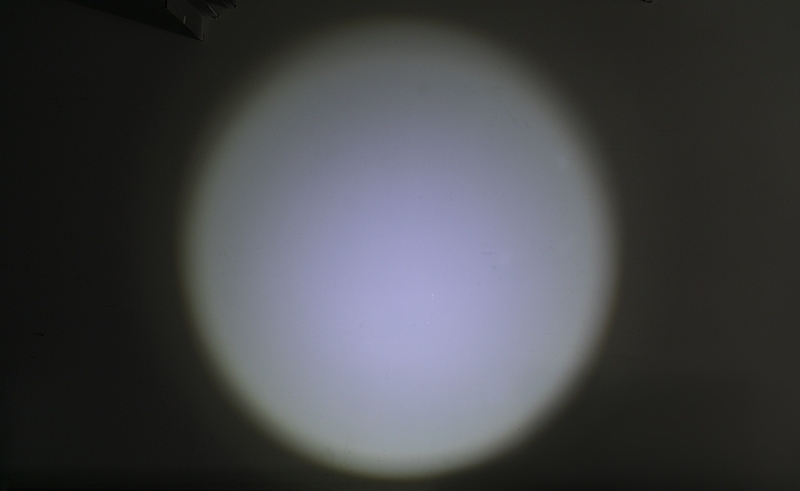 Choose from up to 4 light modes—high, low, strobe, or turbo—that emit as much as 450 lumens and feature 6x adjustable zoom (see table below for mode and lumen breakdown based on power source). 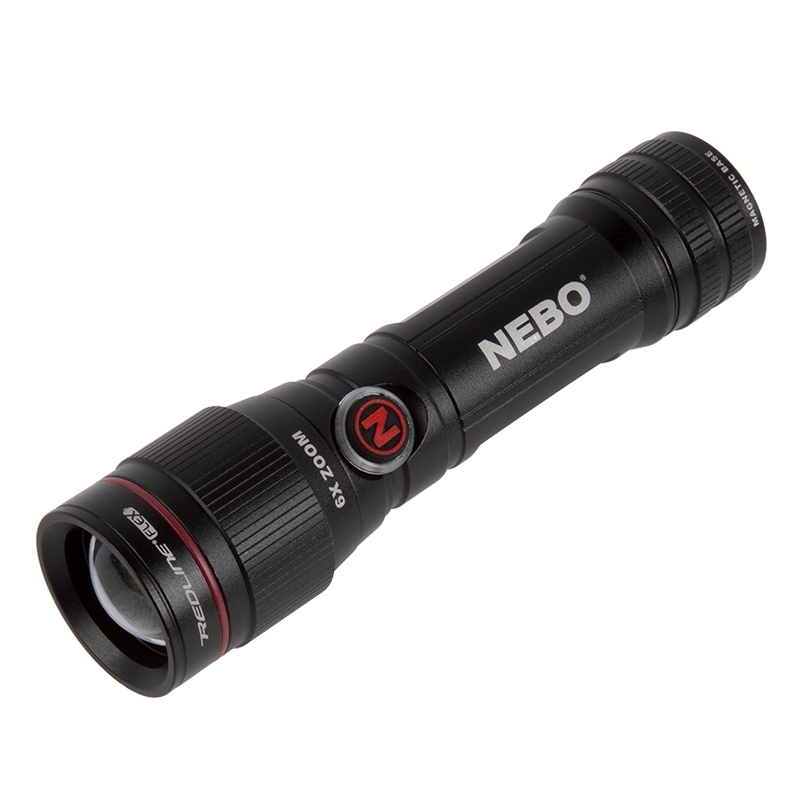 The durable anodized aircraft-grade aluminum flashlight is water and impact resistant. 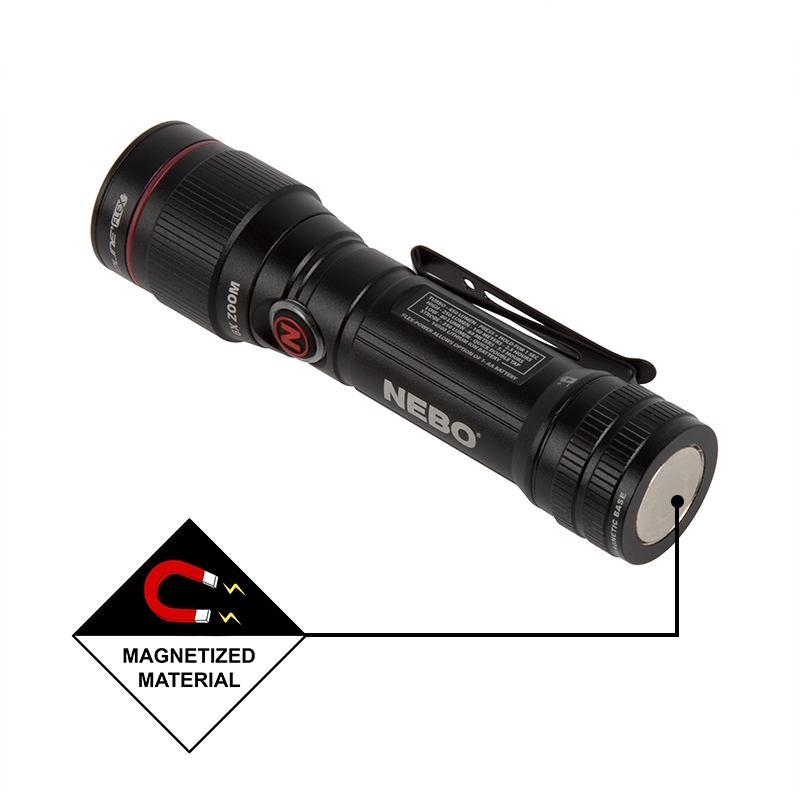 It has a magnetic base and dual-direction clip. 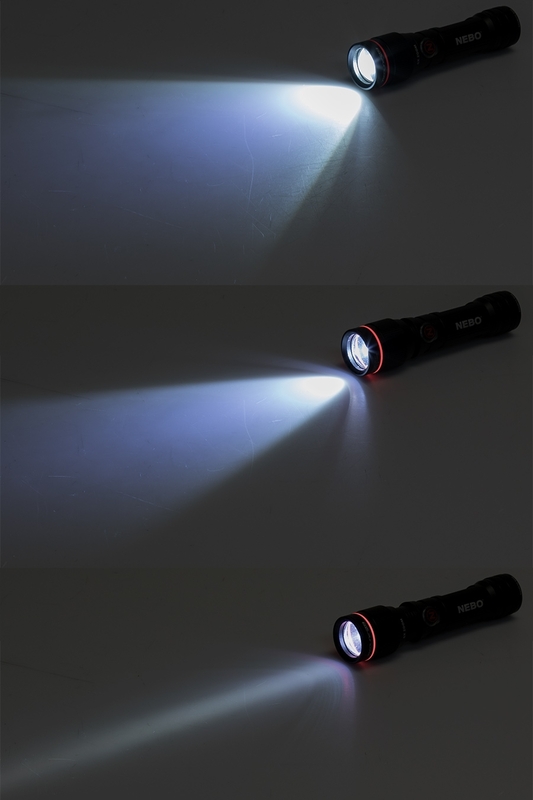 Designed to last up to 5.5 hours, this LED flashlight has a charge time of only 2 hours. 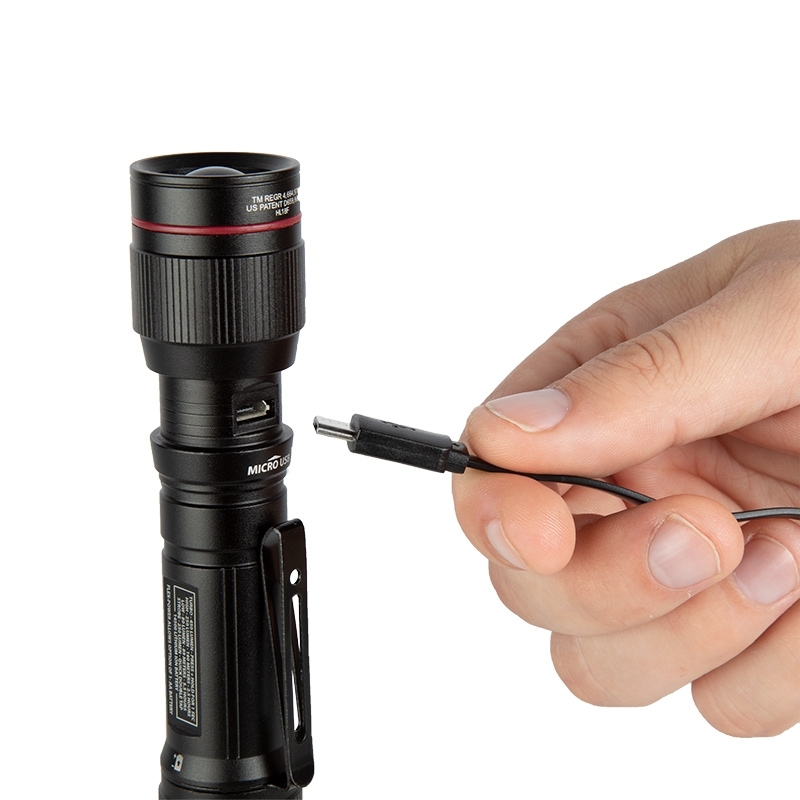 A micro USB cable is included. 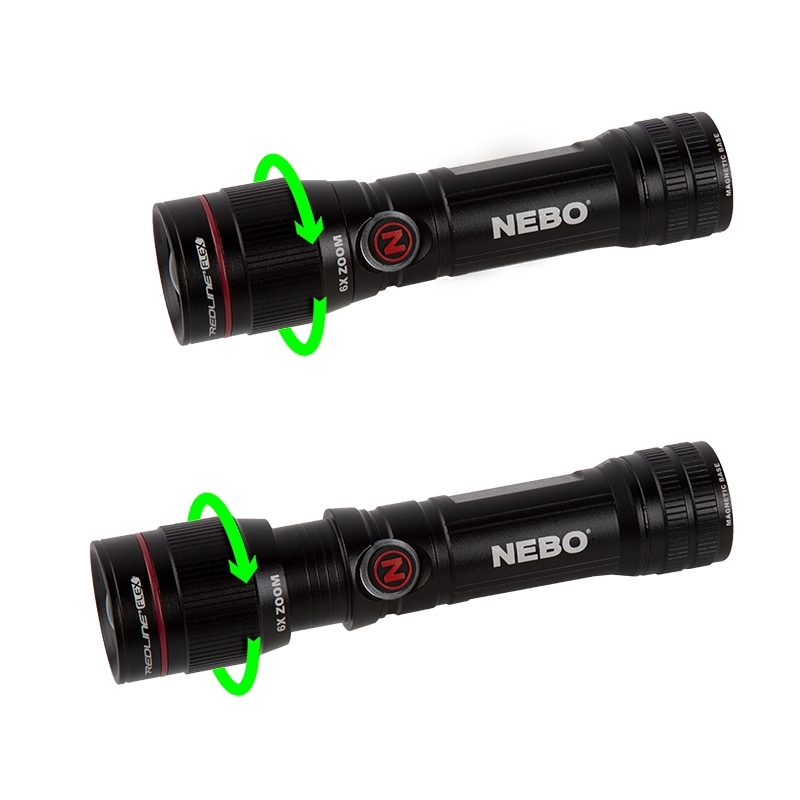 Of the countless I've owned the NEBO Flex is best. 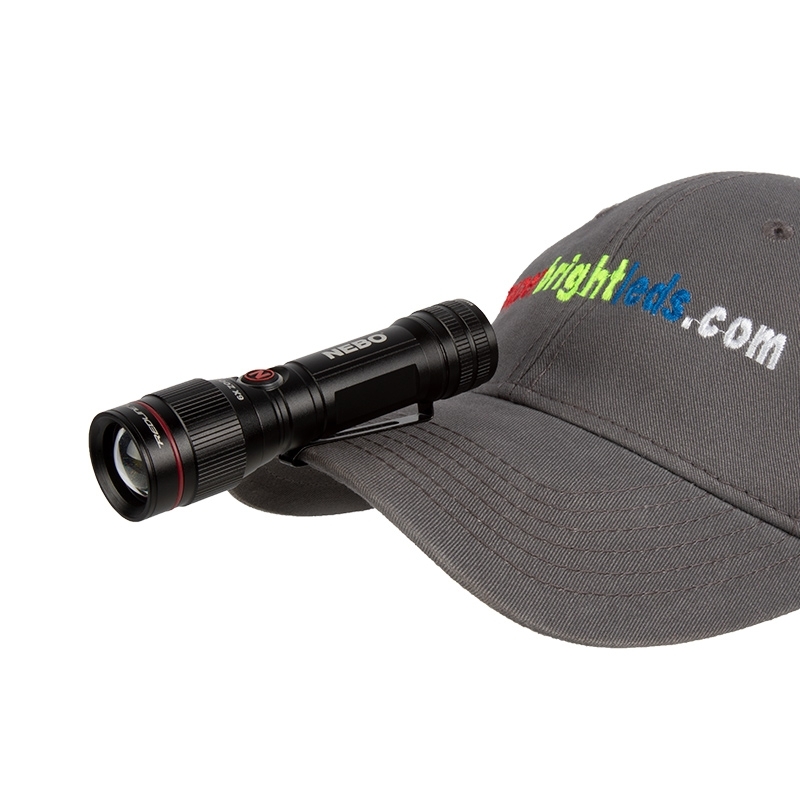 What I like: body switch, switch mode changes, tail magnet, size, power, variable spot, cap brim clip, standard clip, rechargeable, the red ring and 40 seconds of blinding weapon. Oh, and the price. I've no complaints. 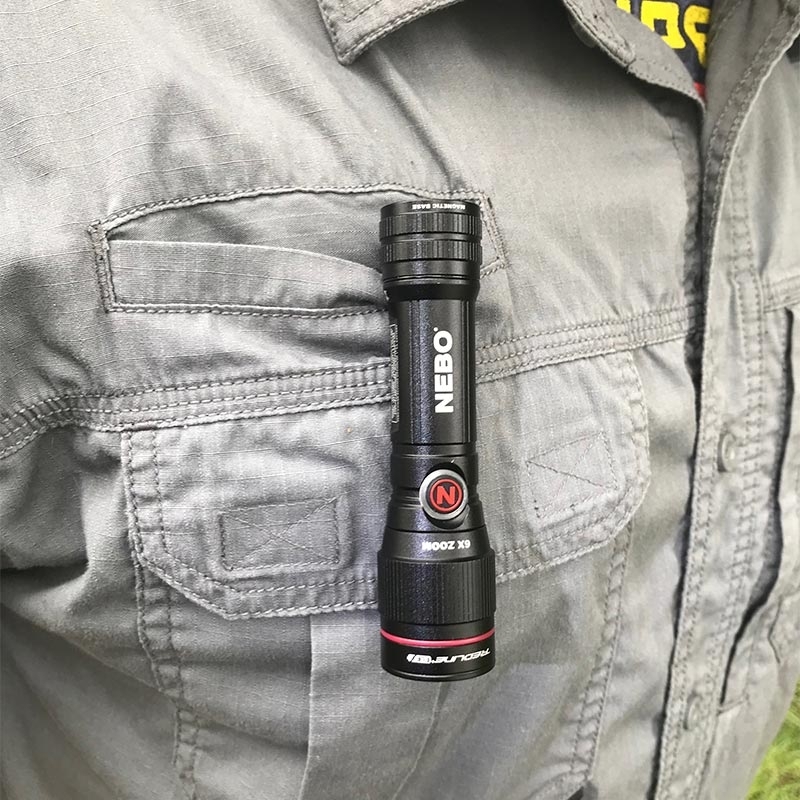 A top-notch design that's well made.